Whether to buy or rent a house in India is a debate that is going to hit you like a rock some time or the other in your life. We know that this question is not easy to get an answer for, because a lot depends on your individual circumstances of family, personal finance and employment status. But with recent string of interest rate hikes and sky high property prices, it is getting difficult for average Indian to buy a house even with stretched budgets. Here are the top advantages of buying and renting a house in India. See which advantages better suit your lifestyle and economic condition so that you can make the right decision. When you decide to put your money into buying a house for yourself, you are actually taking the first few steps to create one of the biggest assets in your life. Your down payment and EMIs will go a long way in creating a stable asset for you which will not only serve as a home but also as an asset you can realize if you ever face financial troubles. Looking into the emotional side of home ownership, buying a house in India will mean that you have the satisfaction and pleasure of owning your own home. The warmth of your very own home can never be replaced even by the most expensive of rented apartments or villa. It’s no surprise that we all call our homes "home sweet home". When you buy a house, you are eliminating issues of housing security from your life. No longer are you going to be threatened by notices to vacate by your landlord, nor are you going to have rent negotiations every now and then. If you are fed up of the landlord dictating your life, maybe buying a house is the best option for you. The realty market in India may face ups and downs and have an occasional bubble that bursts, but one cannot deny the potential of investment in property. Your purchase of a house in India may make you a millionaire, should you ever decide to sell it at the right time. You can even give your house on rent and earn rental income from it. It is a different argument that renting may be expensive than buying in the long term when you consider the appraisal value and the long term benefits of a purchased home. But truth of the matter is that renting is cheaper today and right now. 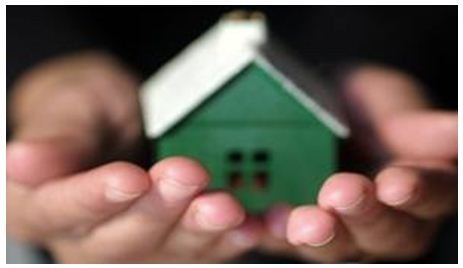 If you are cash strapped or are not sure whether you will be able to sustain yourself after making that big down payment, renting a house in India may be the wiser option for you. Does your job require you to be mobile? You may want to consider renting over buying in that case as buying a property will mean that your money is locked in at a certain physical location. Of course, you can sell the property after a few years if you want to relocate to another city, but what will you do if the housing markets are down at the point? The advantage of renting a property is that you are free to move when you want should your job require you to do so. Whether it is re-painting the whole house, a broken plumbing system or new electrical wiring, you don’t need to worry about any maintenance costs of a house when you are renting. These maintenance costs can be a major factor for those considering buying a house in India if future cash flows are a worry. Renting, as we can see, is relatively hassle free when it comes to the maintenance and upkeep of the property. Let’s consider for a minute that you are renting a house in a posh and upmarket locality in your city. You business suddenly takes a nose dive and you need to change your lifestyle to adapt to current economic needs. In such a scenario, all you have to do is pack your bags and move to a cheaper rental accommodation and wait till business picks up when you can get back to living the lifestyle you were living earlier. This may not be as seamlessly possible if you had bought a house. What will you do, will you buy a house or would you rather rent one? It is depends the circumstances where are you living, which is your area. Are you living urban or rural area? and some other things, we can’t compare the Delhi NCR property price to the rural area price or tier 3 cities. Nowadays Gurgaon or Noida property price is touching the sky, here your are in win win situation either rent a property or buy a property. Rent for short term, buy for long term.